OFTEC is the Oil Firing Technical Association, representing the oil heating and cooking industry in the UK and the Republic of Ireland. The law (Fluorinated Greenhouse Gases Regulations 2009) now demands that all businesses and individuals completing the installation and servicing of refrigeration, air-conditioning or heat pump equipment (SRAC work), which contains or is designed to contain F Gas refrigerants, must be fully trained. Microgeneration Certification Scheme (MCS) is an internationally recognised quality assurance scheme, supported by the Department of Energy and Climate Change. MCS certifies microgeneration technologies used to produce electricity and heat from renewable sources. MCS is also an eligibility requirement for the Government’s financial incentives, which include the Feed-in Tariff and the Renewable Heat Incentive. 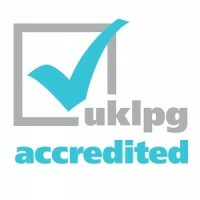 UKLPG is the trade association for the LP Gas industry in the UK, and the one voice representing companies who are producers, distributors, equipment and service providers, and vehicle converters. It is dedicated to the safe and effective development of LP Gas and takes a leading role in the consultation and negotiation with legislators and policy makers. The Renewable Energy Consumer Code was set up by the Renewable Energy Association. Our aim is to guarantee a high quality experience for consumers wishing to buy or lease small-scale energy generation systems for their homes.